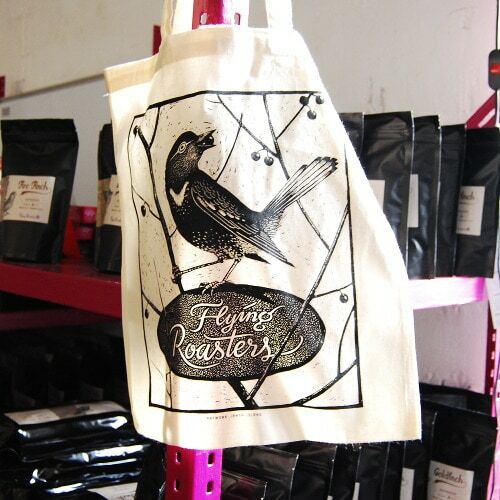 We finally have them: Flying Roasters cloth bag. A beautiful print by Phillip Janta, a graphic designer and illustrator from Leipzig. 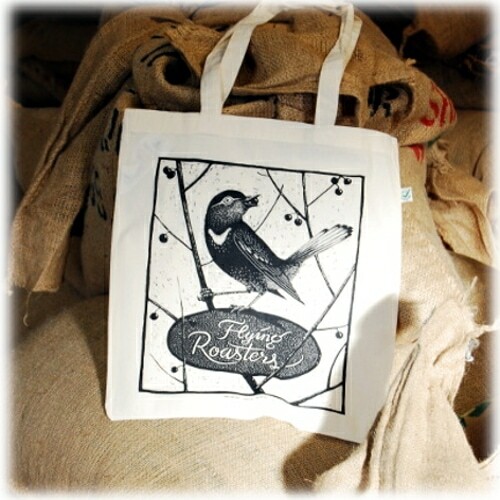 Whether as a present for a coffee aficionado or bird lovers or to help you carry your load: this bag will prove a trusty companion. 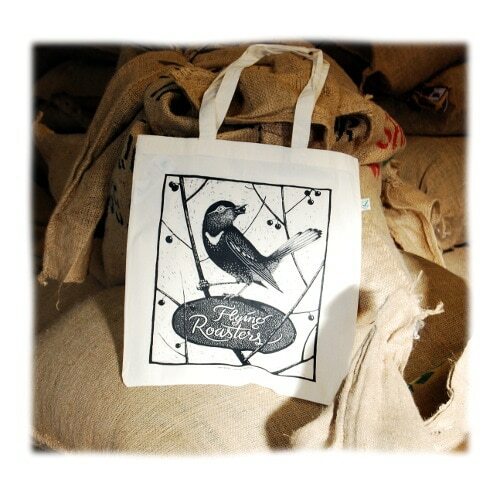 The Fairdruck collective prints the bag, which is made of 100% organic cotton, using climate-neutral renewable energy. The bag is made in India and is certified by Fair Wear, an organization that is committed to better working conditions in the garment business. You can watch a very informative video about this initiative in the Video tab.